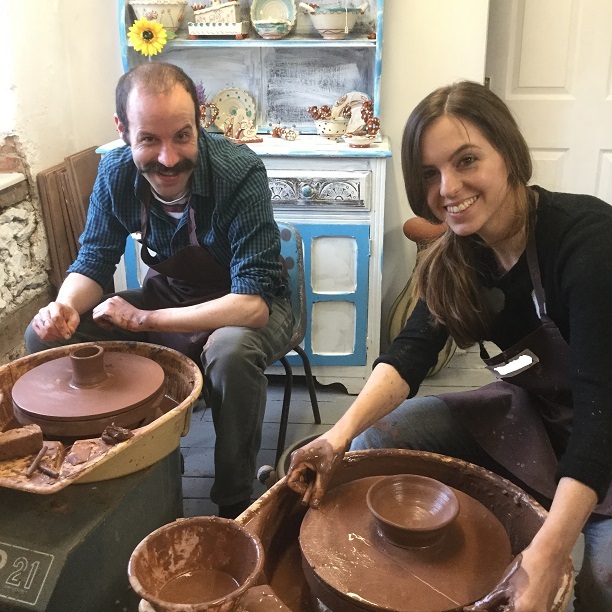 Dan and Steph spent the day with us on our one day potter’s wheel workshop 16-2-19, making some very respectable vessels and shapes. 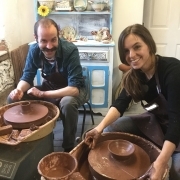 There is no apparent end to their talents and as well as proving themselves competent potters, the couple have a multitude of other creative strings to their bow. Steph posts penny whistle tutorials, twice a week, online as well as producing and staring in promotional videos for businesses and organisations. Dan is a freelance sports journalist commenting on football, rugby, cricket and darts. In their ‘spare time’! 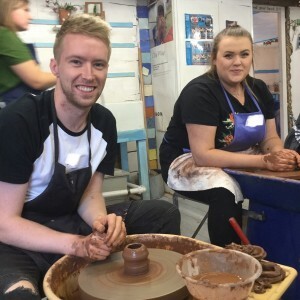 the pair act and produce in a theatre group too – Phew! We love our returners – even if they haven’t visited us for 16 years! 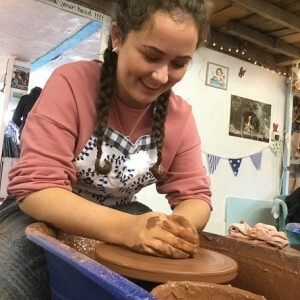 Katie attended a friend’s birthday party here at Eastnor Pottery back in the day when she was just eight years old. 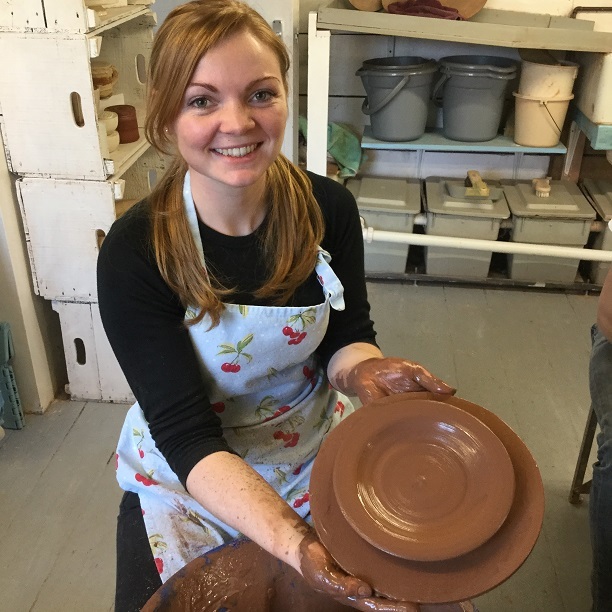 Fast forward to our potter’s wheel one day course earlier this month and Katie is all growed up and proving to us all that making pots on the wheel is not dissimilar to riding a bike – once you’ve done it you never forget. 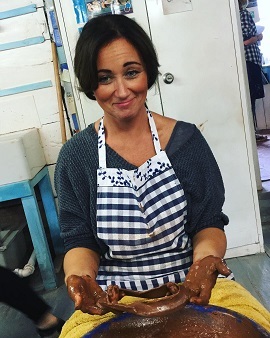 Mum came along too and the day made for a brilliant mother/daughter activity. Well done both. What do you get a loved one who has everything? 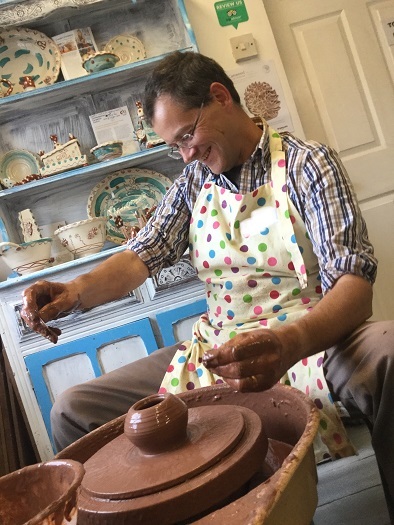 The experience market has positively blossomed in recent years as we all attempt to fill our leisure time with meaningful and very often creative activities. 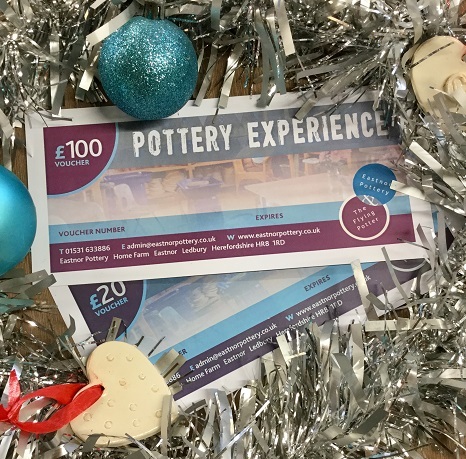 It’s no surprise then we’ve seen more and more individuals and families gifting each other pottery experience vouchers for birthdays, anniversaries and Christmas. 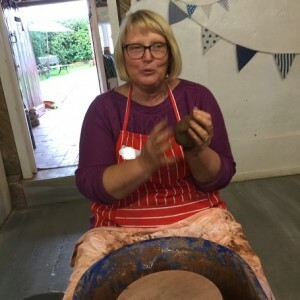 Aspiring potters and visitors to our Herefordshire studio are not only creating a tangible object to be proud of, the process of making has therapeutic benefits too. Co-coordinating eye, hand and speed of the potter’s wheel leaves very little mental capacity to dwell on anything other than the task in hand – quite literally! All that other ‘stuff’ fizzing around participants heads fades away and a state of mindfulness ensues – just like meditating! Workshop participants are also making memories. Our staff strive to create a relaxed and friendly atmosphere, perfect for friends and family to catch-up and unwind and get their creative juices flowing. 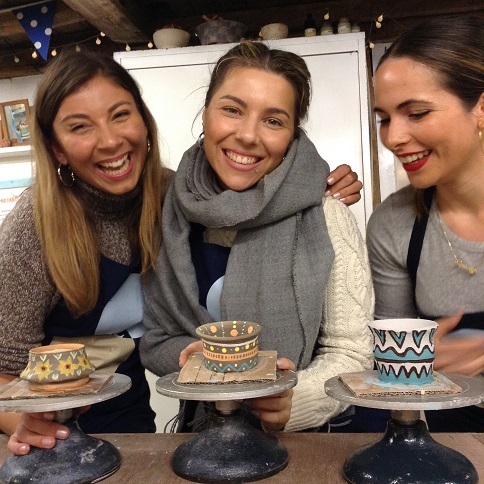 The expert guidance and positive facilitation enable visitors to thrive and create that ‘special’ piece or family heirloom. 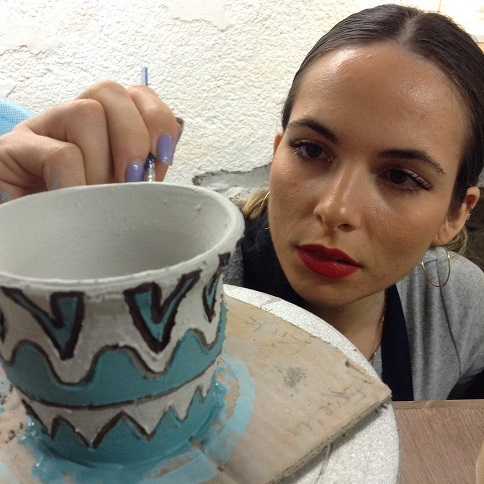 Once it has been fired and glazed, the artifact serves as a permanent reminder of time spent together doing something creative and ultimately rewarding. 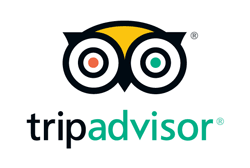 We offer gift vouchers to whatever value you would like to spend. 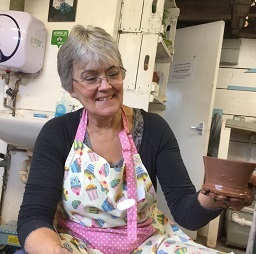 For instance, a £20 experience will enable the lucky maker to throw a pot on the wheel, decorate it with coloured slip and then leave it to be fired and glazed. 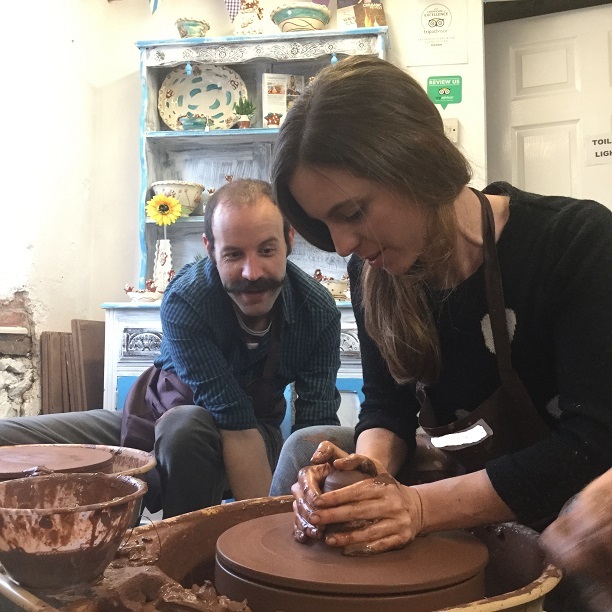 A voucher to the value of £130 will enable the recipient to play with clay on the potter’s wheel for a whole day, inclusive of a delicious lunch. All in all, making pottery is good for you and what better way to show your appreciation for a loved one than presenting them with an Eastnor Pottery Experience Voucher this Christmas. You can purchase our vouchers online, right here. Seven nicer individuals you’d be hard pressed to meet, spent the day learning how to make pottery on the potter’s wheel. It was a productive day with everybody filling their boards with fantastic shapes and forms, in fact we’ve never seen the pile of disregarded ‘learning’ pots look so small. 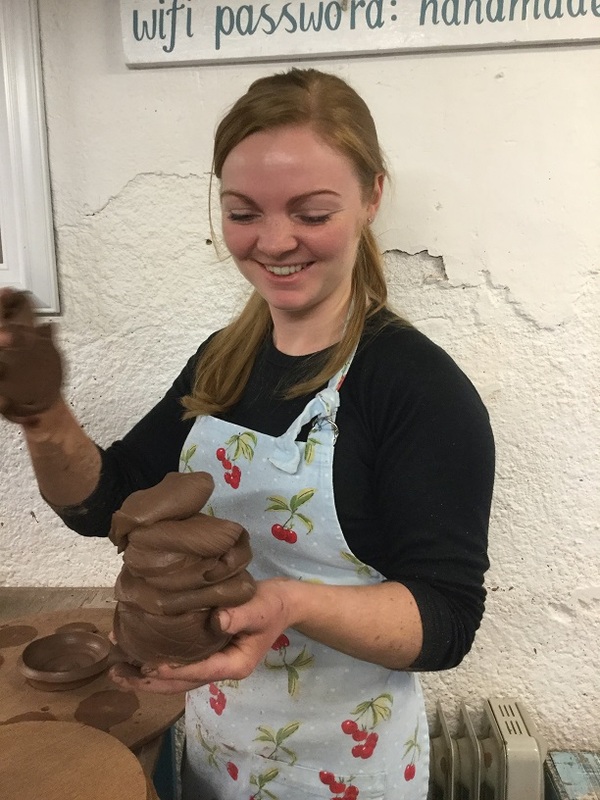 At the close, we ask participants to select their two or three favorite pieces to be fired, glazed and posted out in a months time. A difficult task at the best of times but made even harder by the sheer volume of super shapes. 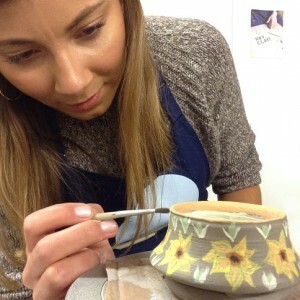 Most people couldn’t bare to part with their creations and payed the extra to have them finished in the kiln. If you fancy spending a day behind the wheel please take a look at our web page dedicated to our one day and weekend courses. £130 for the day and £240 for the weekend.